Because technology has improved, robotic applications to laparoscopic adrenalectomy have been reported. 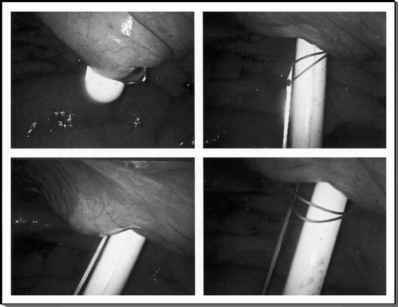 Use of the automated endoscopic system for optimal patient fSmith and Nephew, Sydney, Australia. positioning voice-controlled robot has been well described, and is reported to provide a steadier, more reliable picture with fewer camera smears when compared to human assistance, while allowing the assistant more freedom to assist the primary surgeon actively (10,90). An experienced human assistant familiar with the modus operandi of the primary surgeon is able to provide a dynamic view of the object of interest in a much more expedient fashion than a voice-activated robot, particularly during complex maneuvers such as intracorporeal suturing. More recently, the daVinci and Zeus master-slave robot systems have been developed and used in clinical practice (18-20). Proposed advantages include absence of tremor, up to seven degrees of freedom, a relaxed working position at the console, and a minimal learning curve (18). Overall, the major advantage with these systems is that they enable surgeons with little prior laparoscopic experience to perform minimally invasive procedures. The major disadvantage at this stage, however, is cost. Sung and Gill compared the daVinci and the Zeus systems for laparoscopic adrenalectomy and laparoscopic nephrectomy and felt that the intraoperative technical movements were more intuitive with the daVinci system but that the procedures were feasible with both units (91).